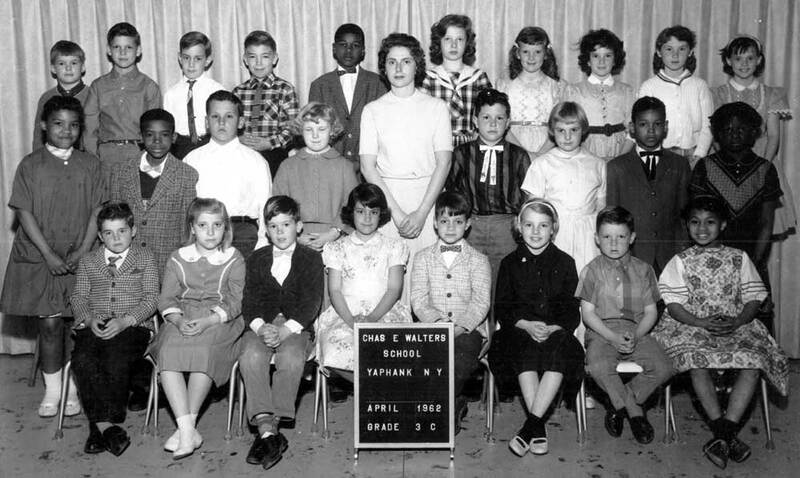 Below, you'll find a series of class pictures, grades kindergarten through sixth, from the Yaphank, Long Island New York based Charles E.Walters Elementary School, commencing in 1959. 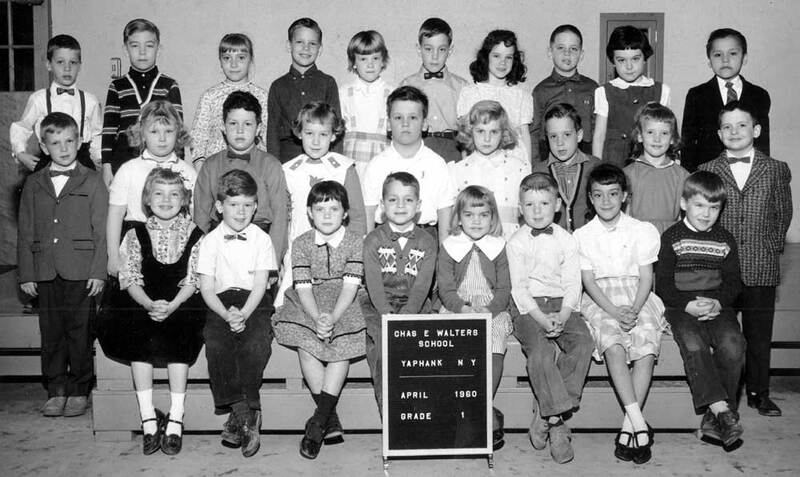 Obviously, these are MY class pictures (that's me sitting next to the teacher in the initial pic, wearing the suspenders--you're on your own finding Waldo in the rest), and they're probably of little interest to anyone besides my immediate family and friends, but hey, what's a website for if not for a healthy dose of self-indulgence now and then? My motivation for rounding up these ancient artifacts came from another long-ago classmate of mine by the name of JoAnn. 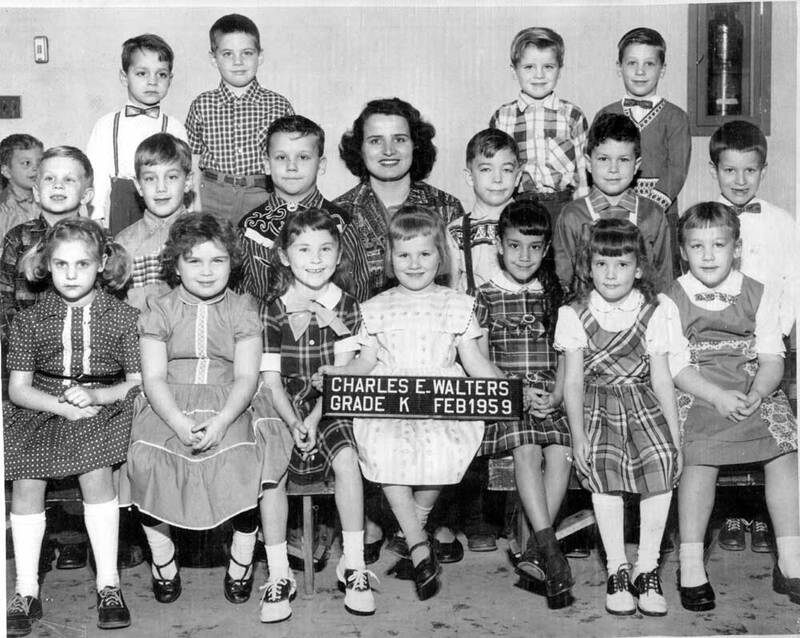 She posted her kindergarten class picture on her Facebook page, and even though it featured the exact same teacher wearing the exact same blouse sitting in the center, the date on the slate also being February 1959, I was nowhere to be found! I looked and looked, and though most of the other faces were familiar, my mug was conspicuously missing. So I went and dug out a series of scrapbook albums my mom had pasted all my class pictures in (under a thin sheet of cellophane), and was surprised to discover that MY group of kids was entirely different from JoAnn's! 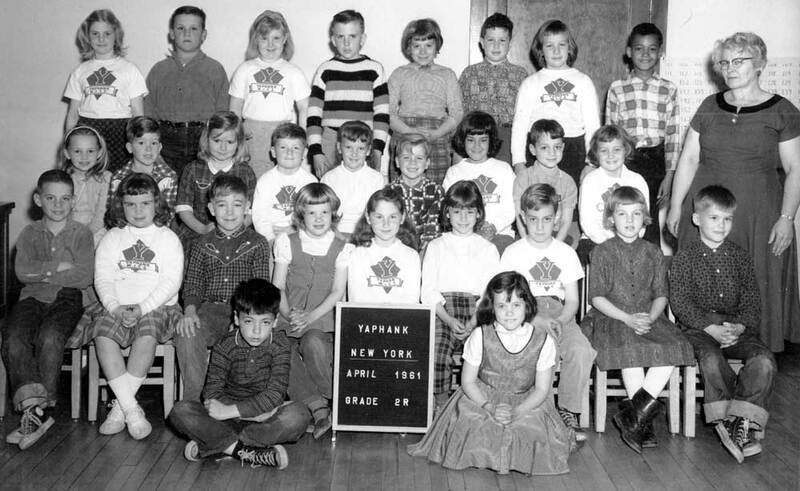 Apparently, our kindergarten's were half day classes, something I had long forgotten. When I informed her of this--AND the fact that I had all these photos in my possession--she encouraged me to post them on Facebook. Which I did. But over there, the image size is somewhat limited, so I wanted them posted here as well, so those who'd care to take a trip down (way, WAY down!) memory lane, might get a better look! 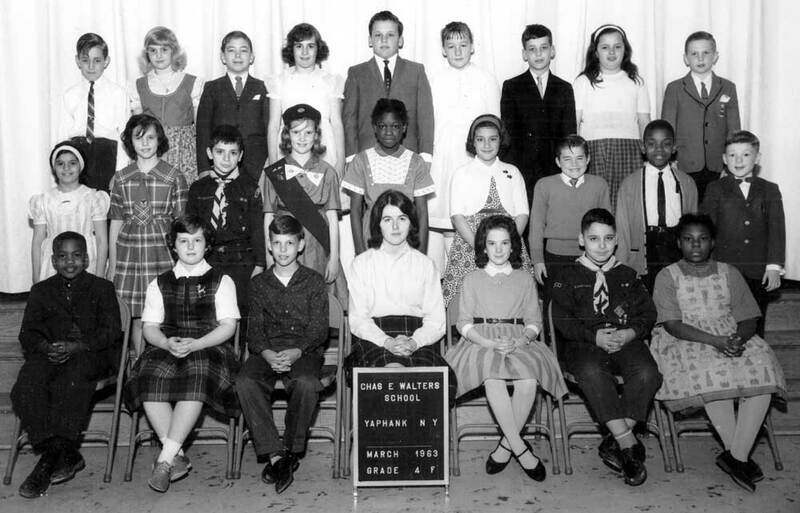 As a point of interest, our school always had two classes per grade (with, unlike K, two different teachers). 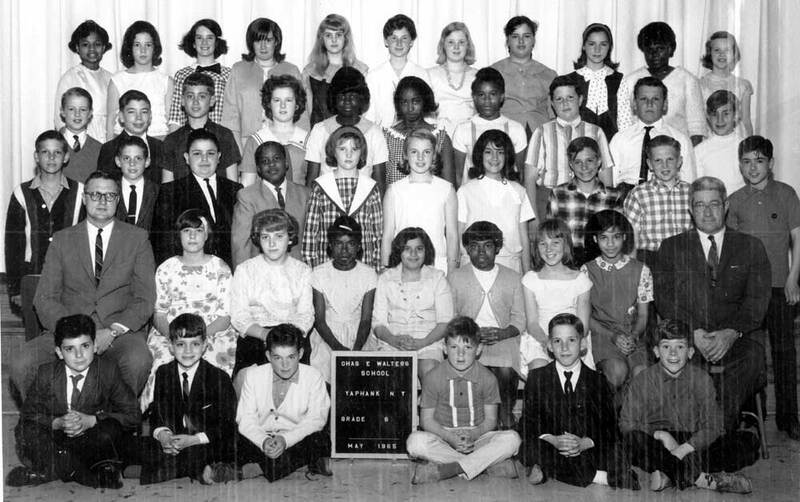 It appears from these photos that both classes make up the first and sixth grade pictures, while the rest represent only half of the students in grades two, three, four and five (the latter being the only one shot in color--AND featuring Mr. Erskine, my all-time favorite teacher, but that's a story for another time...). I made it all the way through high school with quite a few of these kids; I remember the names of an alarmingly high percentage of 'em. It's the ones that I DON'T--but whose faces nonetheless strike a chord--that haunt me. Or at least, mildly disturbs me. 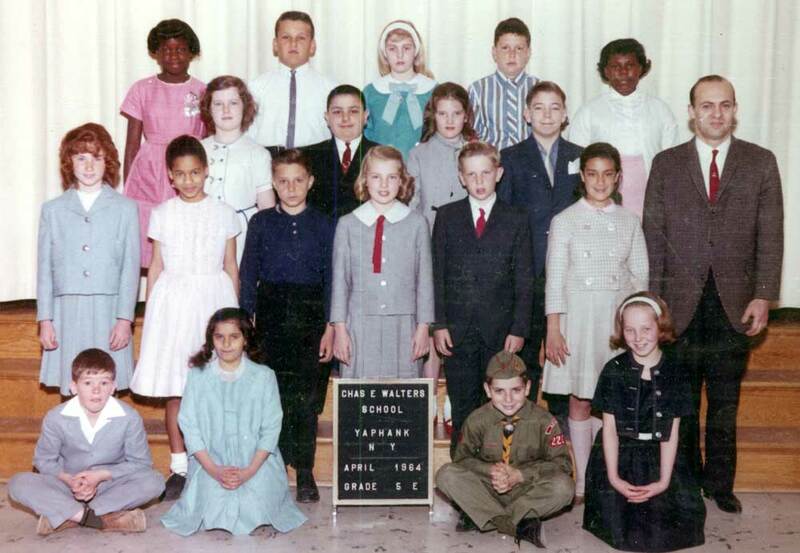 Maybe someday, with the help of the Charles E. Walters alumni, Facebook chapter, I'll be able to cobble together a complete (or near-complete) classmate guide?